True or False: children under the age of 18 can register as organ donors. In the province of Quebec, any person aged 14 and up may register themselves as an organ donor by signing an organ and tissue donation sticker and putting it on the back of their health insurance (Régie de l’assurance maladie du Québec) card. For children under the age of 14, a parent or legal guardian who wants to register their child as a donor must sign the sticker and put it on the back of the child’s health insurance card. The sticker is included with the “Sign for life!” brochure which is available online or at CLSCs or pharmacies. Anyone, regardless of age, health or sexual orientation, can be considered as a potential donor upon their death. The health of the organs rather than the age of the individual will determine whether the organs can be transplanted. 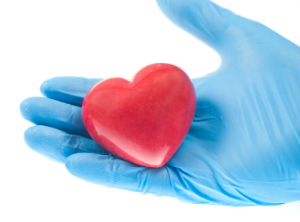 In Quebec, the oldest person to donate organs was 88 years old. On the opposite end of the age scale, the heart valves of a two-day-old baby were also donated. The average age of donors is around 50. The fact that a teenager can make the decision to become an organ and tissue donor starting at the age of 14 is a good reason to start the conversation early with your children. There are many resources such as the provincial ministry of health and Transplant Québec that can help answer questions you and your children may have.